I was formerly senior partner at Norton Rose Fulbright Canada. I have had experience in all aspects of intellectual property, technology and media matters for almost 40 years. Typically this means helping to resolve disputes or to obtain appropriate protection. This frequently results in providing advice concerning licensing and litigation. I am especially interested in helping creators or creative companies to grow their business and products using intellectual property. I assist by help such companies obtain exclusive rights to their inventions or brands and to defend those businesses from claims of misappropriation I have defended some of the most creative people in the world such as James Cameron, creator of Avatar, and some of the most iconic brands such as Barbie and Heinz, Weight Watchers and American Eagle. I have also represented e-commerce and telecom companies such as Nortel, Research in Motion and eBay. I have represented movie studios, publishers, banks, software developers, chemical companies and theatre companies. Please see specific subject headings on this site for specific experience. and including work in media, advertising, technology, almost all creative industries, biotechnology and information technology. 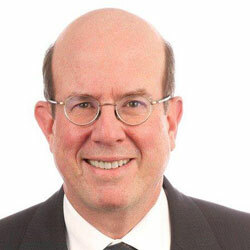 Brian Gray has had extensive experience in all phases of Intellectual Property counseling, prosecution, licensing and litigation, and including work in computer subject matter, media, advertising, technology, biotechnology, chemistry and information technology. B.A. (1971, Cornell University) Chemistry and History (Dean’s List for academic excellence 1971), Editor the Cornell Daily Sun 1969-1971 and President of SDX Journalism Honorary. 2004-2007 McCarthy Tetrault, head of intellectual property department. 2007-2017 Ogilvy Renault, since merged with Norton Rose and then merged with Fulbright and Jaworski to form Norton Rose Fulbright, senior partner. Counsel to Nortel Networks Inc. and affiliates in their record-breaking auction of around 7,000 patent assets to Rockstar Bidco, a consortium of Apple, EMC, Ericsson, Microsoft, Research in Motion and Sony for $4.5 billion. Also counsel to Nortel in several other significant sales of multiple Nortel divisions with critical IP assets including Genband, Ericsson and Avaya. Counsel in Canada to H.J.Heinz in the acquisition and subsequent disposition of Weight Watchers International and subsequent trademark licensing arrangements. Intellectual Property counsel to H.J.Heinz in respect of many acquisitions, reorganizations and divestitures 1986- present. Trademark counsel to Mac’s Milk (at the time the largest franchiser in Canada) in connection with the protection and licensing of all of their trademarks. Acted for the Stratford Festival and Brian MacDonald Production in respect of the production of several Gilbert & Sullivan plays at Stratford and their subsequent touring of shows in the U.S. including on Broadway and at the Kennedy Centre Washington D.C. and negotiated television rights for broadcast on the CBC. Acted for eBay as intervener in the Supreme Court of Canada on the Equustek v. Google case involving the court’s order of a worldwide injunction against Google. Acted for the Canadian Banking Association and the Canadian Life and Health Insurance Association as intervener in Amazon v. the Commissioner of Patents, the seminal and leading case on the patentability of business methods. Acted for the Bank of Nova Scotia in a multimillion dollar Canadian and US patent claim by Data Treasury concerning cheque scanning and processing. Successfully defended Fox and James Cameron in respect of a copyright claim for the movie Avatar. Successfully defended Fox in respect of a distribution dispute over A Christmas Carol. Defended Alliance Atlantis in respect of a claim over the production of the series Due South. Successfully defended Sony Pictures in respect of a dispute over the movies Crouching Tiger, Hidden Dragon and other confidential matters. Successfully acted for His Highness the Aga Khan in a copyright claim. Advised a large Canadian mobile phone manufacturer in connection with the multimillion dollar patent infringement claim. Acted for Queens University and Parteq Inc and achieved a significant settlement for Queens University based on a patented drug developed there. Acted for Walt Disney and others in connection with enforcement of a US bit-torrent infringement judgment against a Canadian copyright infringer. Acted for Warner-Lambert in a Patent Medicines Notice of Compliance proceeding relating to the block buster drug Lipitor. I have also acted as counsel in an arbitration for Timberjack (John Deere) involving 5 US and Canadian patents before a retired US court district judge and in media and entertainment arbitrations for Fox, Sony and Marvin Hamlisch as well as numerous mediations relating to all kinds of intellectual property. I have been an expert witness in a U.S. copyright case, involving rights to Stravinsky’s musical works in Canada, and an expert witness in an EPO patent opposition involving patent ownership and in a Canadian patent and trademark case involving professional negligence. I am on the panel of arbitrators and mediators of the World Intellectual Property Association and the International Trademark Association and have completed the WIPO advanced workshop on domain name dispute resolution and arbitration and the INTA mediation training. See list of reported cases attached. In addition counsel in numerous unreported decisions or cases which settled including patent cases for Queens University, Hewlett-Packard, Beecham, Warner-Lambert, Solvay, Agfa, Lubrizol, Champion Road Machinery and TRW and copyright cases for Sony, Fox and Universal and the Motion Picture Association and trademark cases for Mattel, Heinz, American Eagle, Baron Philippe de Rothschild SA, and Esselte Pendeflex, and a trade libel case for ShoreTel. Member, Intellectual Property Committee of the Industrial Biotechnology Association of Canada (now BIOTECanada) 1990-1999. Member, Joint Copyright Committee of the Canadian Bar Association and the Intellectual Property Institute of Canada. (2002-present). Member, Joint Intellectual Property and Competition Committee of the Canadian Bar Association to study the draft Competition Bureau Intellectual Property Enforcement Guidelines. International Association for the Protection of Industrial Property, (AIPPI) (Chairman, Canadian Group Committee on Q.93 Protection for Biotechnology 1992; Member, Committee on Patent Novelty 1995; Chairman Q130, Unfair Competition and Misleading Advertising 1998); Member Q.194, 2007, Impact of Co-ownership of IP Rights, program committee and organizing committee for AIPPI Toronto 2014, Chairman Q246 Exceptions and Limitations to copyright protection for libraries archives and educational and research institutions 2015, Canadian and Global Chairman 2016 Liability for linking and framing on the internet; Canadian Chairman 2017 Graphical User Interfaces. Selected by peer reviews published in Managing Intellectual Property as one of the top patent and trade-mark lawyers practising in Canada, every year since reviews began. Identified in L’Expert Directory in Canada as one of the most frequently recommended lawyers in the Intellectual Property category, every year since reviews began. Listed in AmLaw/LEXPERT as one of the 500 leading lawyers in Canada and one of twenty-five in the Intellectual Property category, 1999 – 2005, 2012-present. Listed in Who’s Who Legal as a leading lawyer in patents and trade-marks category 1999 - present. Listed in Practical Law and in Global Counsel 3000 as “highly recommended” in Intellectual Property, Life Sciences and Life Sciences Biotechnology. Listed in Who’s Who Legal as a leading lawyer in the life sciences category. “Industrial Design Rights, An International Perspective” Kluwer Law, May 2001 (edited by Brian W. Gray and Effie Bouzalas), and author of Canadian chapter. “Industrial Design Rights, An International Perspective” second edition Wolters Kluwer 2016 (edited by Brian W. Gray and Rita Gao), and contributing author of Canadian chapter with Rita Gao and Chris Hunter. Chair. Insight Information Co. “Drug Patents”, March 2002. Central and Eastern European Law Institute (CEELI) Instructor on Intellectual Property for three day program for judges from Ukraine and Moldova, January 2011, Prague, Czech Republic. American Intellectual Property Association, Panel Chair, October 2013 Washington D.C.
IP Monitor February 2016 Lexmark Int’l Inc. v. Impression 24 Prods, Inc. “This Is So Exhausting”, International Exhaustion. IP Monitor October 2016 “The insecurity of intellectual property licenses during insolvency proceedings”. Numerous other case comments on patent, trade-mark and copyright cases in Canada primarily in the World Intellectual Property Reports, World Copyright Reports and World Trade-mark Reports, published by the Bureau of National Affairs, and Federated Press, Intellectual Property Journal or newsletters from my former firms, Blake, Cassels; McCarthy Tetrault or present firm Norton Rose Fulbright, formerly Ogilvy Renault. Active in numerous international organizations such as AIPPI but especially the International Bar Association where I was chairman of one of the largest committees of the business law section, the Intellectual Property and Entertainment Committee and helped run meetings all over the world, in Berlin, New Delhi, Strasbourg, Melbourne, Hong Kong, Chicago, Boston, London, Paris and Barcelona to name a few and I also helped support local regional meetings in Mexico, Turkey and Brazil and coordinated the IBA representation at the WIPO in Geneva. As noted above in January 2011, I was an instructor on Intellectual Property for a three day program for judges from Ukraine and Moldova for the Central and Eastern European Law Institute (CEELI) , Prague, Czech Republic. I co-founded the IP group at Blake Cassels which became one of the largest and most respected IP groups in Canada in a general practice firm and I also headed the IP department at McCarthy Tetrault, one of the largest law firms in Canada at that time. For seven years I was on the board of one of the most successful university technology transfer organizations in Canada at Queens University, Parteq Inc.
For ten years, I served on the Canadian Government policy body to advise on intellectual property policy as it related to biotechnology issues.